Brief："Business is going extremely well and Australia becomes more and more popular for the Chinese," Monika Tu, a professional luxury properties dealer said. Monika Tu calls herself a "property concierge" and says she can't get enough Australian real estate for her cashed-up Chinese clients. 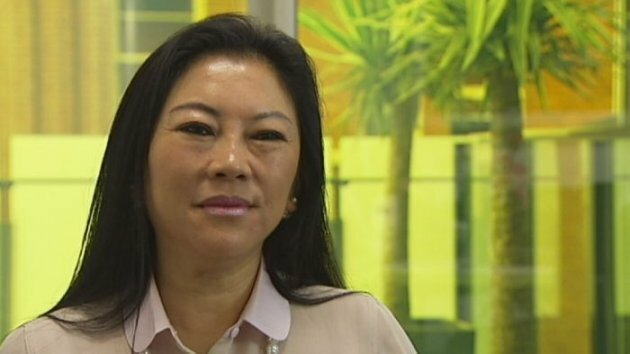 "Business is going extremely well and Australia becomes more and more popular for the Chinese," she told ABC's 7.30. Last year the head of Sydney-based company Black Diamondz set herself an ambitious sales target. "My target was $100 million I remember, and I have reached now about $120 million," Ms Tu said. Her clients are wealthy Chinese businesspeople interested in high-end properties. "I am dealing with high net worth foreign buyers and we specialise in luxury properties. Almost 100 per cent are established properties." Under Australian rules, all foreigners can buy new property but there are restrictions on the sale of established properties. Ms Tu does not believe efforts to tighten up the enforcing of the rules will affect her clients. "There are a lot of rules, and first of all they have to have a visa, they have to be a resident here and they will be able to buy," she said. "The majority have a significant investor visa.. I think you have to invest a certain amount of money like, probably, $5 million into a business or management funds, and that is how they qualify for the visa." With Chinese interest in Australian real estate booming, Ms Tu is expanding her business. "My team has increased. Previously we had four or five people, now we have 15 and our market share has increased," she said. This year she expects to double her previous sales goal to $200 million.